The colors of summer! It's never too late for Julie's Bakeshop now on its 32nd year of operations to launch Summer Surprises Bread Varieties as it had never felt too late for the owner Julie who started her business at 50years old in Mandaue Cebu. 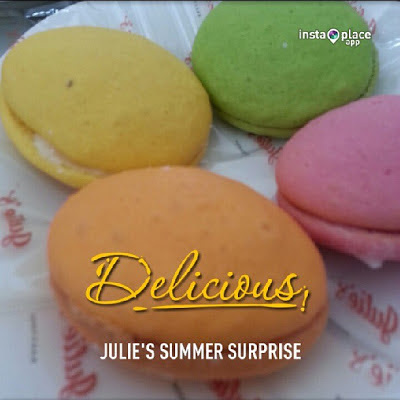 I joined in fellow lifestyle bloggers at the launch of Julie's Summer Surprise Summer Breads at Julie's Franchise Office in Pasig yesterday sampling the best of Julie's bread and pastries available this season and after. Since my first blog event experience at Julie's, the launch of its new logo and greater business outlook with Mr. Bienvenido Topacio last July 2011, Julie's had remained consistent in serving fresh, delicious and more importantly affordable bread to Pinoys. 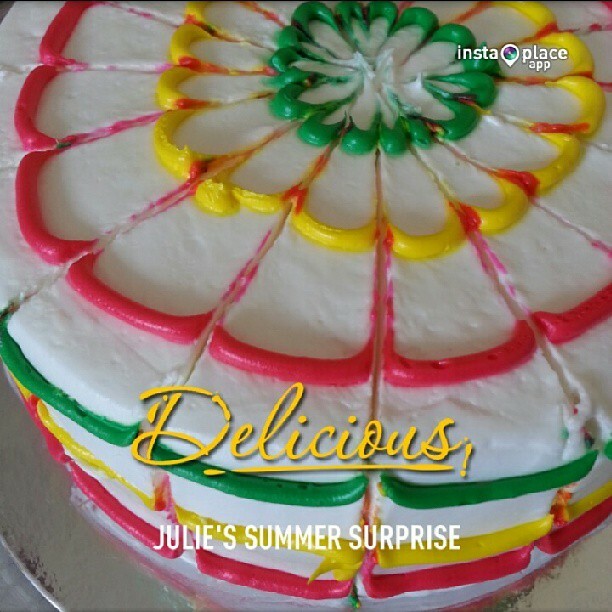 Yesterday at the launch of Julie's Summer Surprises, we were delighted at the array of colorful bread to entice the summer holiday. At Php160, you can purchase a whole round chiffon cake in different colors called the Rainbow Cake. 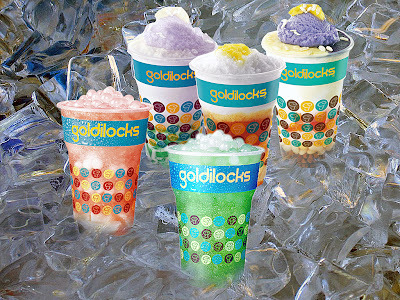 You can also have them in squares or slices at Php45 only. It's not too sweet just like all the other pastries from Julie's Bakeshop. The frosting or the icing will remind you similar to those you eat at weddings. Such a delightful cake anybody can enjoy even without celebration. I'm pretty sure the children would definitely eat this at selected Julie's Bakeshop branch. The next summer surprise was the Yummy Yoyos (last photo below), soft round sandwich puffs in varieties of orange, buko pandan, pineapple and strawberry with powdered sugar in between. I thought at first it would taste like French macarons with crusty and chewy texture at each bite but it's more like the bread my mom used to buy at Julie's except that this is more colorful and more flavorful now. 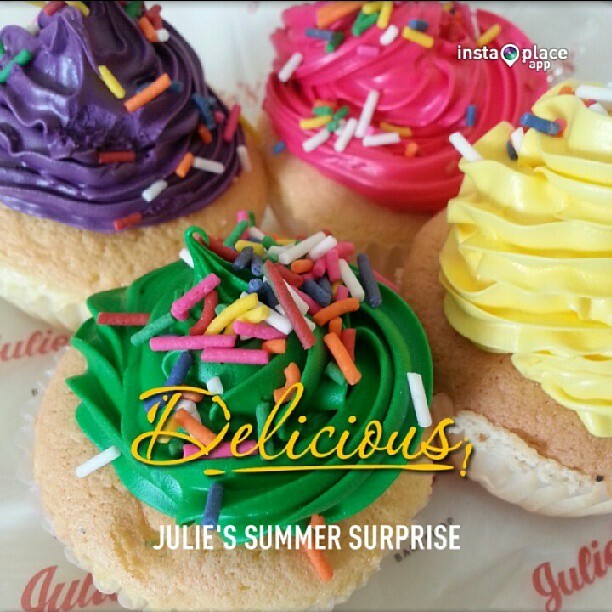 Another colorful pastry Julie's now offer is their Rainbow Cupcakes (at Php12/each) in four tropical flavors- pineapple, strawberry, buko pandan and ube also with lots of confectionery sugar the kids cannot resist. 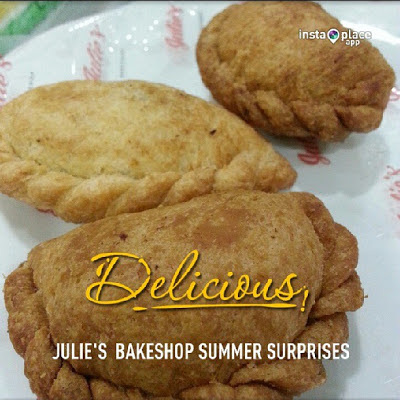 If the pastries are just too sweet, Julie's Bakeshop also brings Chicken Empanada (Php8 only), filled with flavorful chicken meat. It was the empanada we all love and it will definitely a hit not only because of its dirt-cheap price but because of its flavor and texture. Last but not the least, my favorite among all Julie's Summer Surprise (2nd photo from top), Fruit-Filled Bread. Flower-shaped delights bursting with flavors of guava, mango and pineapple. It has Julie's type of texture, chewy, fresh and truly aromatic. 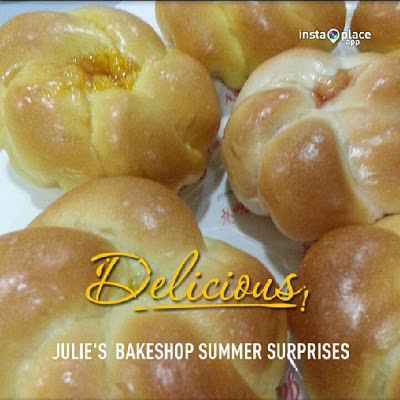 I really love the mango Fruit-Filled Bread available at selected Julie's Bakeshop for only Php7! Unbelievably cheap and filling, I was so full at the third piece of Fruit-Filled Bread paired with its best match, Julie's Instant Coffee. 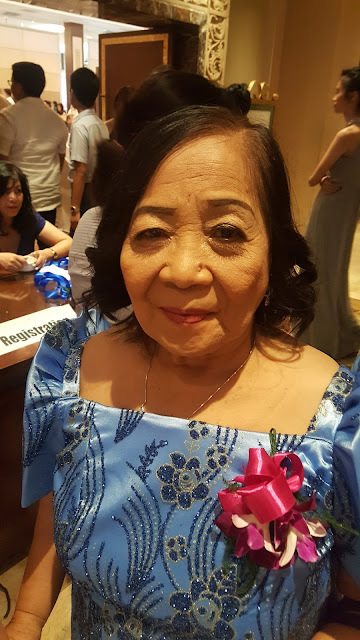 I am proud of buying Julie's bread although they have not brought back my favorite Kalihim which to other provinces may refer to as Pan De Regla/Pan De Pula/Pan de Kabukiran or Pan de Burikat, sliced bread with red sweet filling. 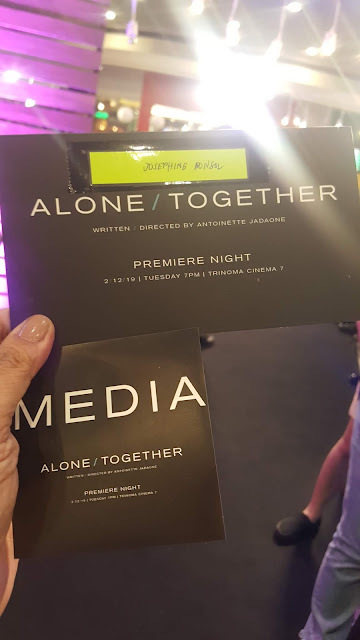 Somehow patronizing Julie's may be viewes by some as the bread of the poor and the working class but I'd say it's the bread of hope as it continues to inspire the said member of the society to hope just like Julia Gandiongco (Julie) did 32 years ago. Julie's Bakeshop continues to surprise and feed every Filipino with surprises and colors. Have some Summer Surprises at Julie's Bakeshop and treat your family to filling and flavorful breads and pastries. For more information visit the official Facebook Page - https://www.facebook.com/JuliesBakeshop and follow them on Instagram @JuliesBakeshop1 and on Twitter @JuliesBakeshop for more details and updates. as I'm attempting to create my own personal blog and would like to learn where you got this from or what the theme is called. Thank you!